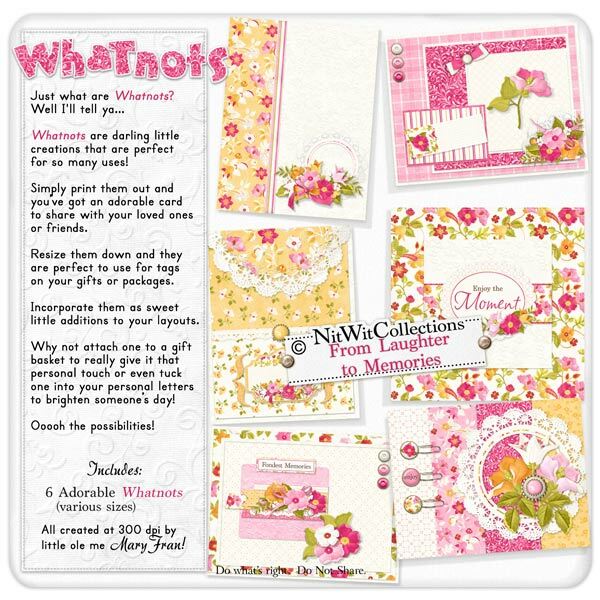 "From Laughter to Memories" Whatnots are printable cards to match so many occasions! I purposely left most of these cards with blank fronts as you could use these cards for a wedding, Mother's Day, thinking of you, invitations, sympathy and so much more. This lets you use them for what you feel suits them best! Simply print on an A4 or 8.5"x11" piece of cardstock, fold it over where the finished card ends and trim off the excess. Voila! P.S. don't forget to write you're sentiment inside!